I have Big Brother Gossip to thank for getting me hooked on BBAu! I started watching 2013 this summer, am watching 2012 now, and have been following along with the 2014 season. I agree with you that it is far superior to the US version! The absolute best thing about the Australian show is that Big Brother is a presence in the house, and diary room sessions are unscripted conversations between the housemate and BB. In seasons 2013 and 2014, you can tell there is a real rapport and affection between BB and the housemates (BB in 2012 seems much more stern and humorless.) Housemates seek out BB to discuss what they are thinking and feeling. 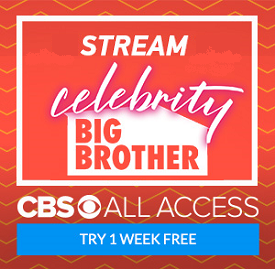 In the US version, the live feeds show that the house guests find their diary room sessions as dull and tedious as we do, and refer to the people they talk to as "production" rather than Big Brother. With Big Brother as a confidante, the Australian housemates can show their true selves, unlike the scripted and edited characters that are the US house guests. I'm not sure if I like that the public has the ultimate power to evict (or not save) in BBAu. This takes away all need for strategic play in the house. The housemates are basically all floaters, and we just watch them jump through BB's hoops while they are picked off one by one. Since the public's favorites are made obvious by who they save, and by the live audience's cheering, the likely winners become apparent long before the finale. (I haven't watched the 2014 finale yet, but the 3 finalists are 3 of the 4 possible winners I picked before the "neighbors" were introduced, and are the 3 I expected to see in the finale once David was evicted. Season 2013's winner was obvious even earlier, the only surprise being that viewers chose the bland 2nd place finalist over the funny, vibrant 3rd place finalist.) I miss the conniving and sudden shifts of power that the US version has. BBAu also has some of the weaknesses of BBUS, namely twists that are dropped too soon and recycled challenges. Season 2013's fantastic divided house twist was abandoned after what, 3 weeks? And season 2014's partners twist only lasted one eviction. 2013's fun Showdown that decided Head of House was dropped this year for boring viewer-chosen Heads of House. As for the challenges, while I LOVE the remote control/freeze challenge (cried my eyes out watching 2013's Tahan stand "frozen" while her mom and little sister were allowed to visit!) and I like the "Yes Big Brother challenge, I can't stand the form-a-pop-group challenge, and fast-forward through the radio station and Santa's helpers challenges. Other likes: nominations points, the house pets, "Surly" giving secret individual challenges, the big yard that gives the housemates things to do other than sit on the couch all day, "intruders" that shake up the house dynamics, surprise evictions, housemates having to earn their food budgets and decide on a shopping list, family members doing nominations one week, housemates forbidden to discuss nominations. kaycee14, thanks for posting. You've provided great food for thought -- and you clearly write with well-educated opinions about both the Australian and American versions of the show. I didn't think to mention in my article that it did occur to me that #BBAU is so fresh to me due to my not having (yet) seen previous seasons ... so I don't realize when certain challenges are recycled from previous years (which is obviously one of our complaints about the CBS show). So it would be fair to say that "recycling" is a complaint which potentially applies to both shows. It's interesting to me that you aren't entirely keen on viewers having power over who stays and who goes. I guess my own opinion could still be swayed; it's just that I find the endlessly unanimous eviction votes on the CBS show to be so predictable and boring that I gravitate toward ANY system which is different. During #BBAU 2014, at least for the first two-thirds of the season, I was constantly surprised by the public's choices -- and the unpredictability was a key factor in why I found every live episode to be so entertaining. You're right that the CBS version definitely has more conniving and sudden power shifts -- which has appeal for viewers. I guess my response is that #BB16 had some level of conniving but rarely had power shifts, given Derrick's firm control all season long. At least #BB15 had some shifting of power between Amanda's allies and Helen's allies. One last comment: Indy Mike has been encouraging me to watch #BBAU 2013. Like you, he feels it was a better season. I've just started with episode 1 and am looking forward to it (even though I already know who won). Target John, you will LOVE BBAu 2013! Enjoy! I started listening to the Big Brother Gossip podcast this year and I love it! I started watching BBAU this year as well. I watched season 2014 first and went back and watched 2013. I have to say that I like season 2014 way better than 2013 and I like the Australian version WAY more than the American version. I can't wait to see the 2015 season, but I have heard that there may not be a 2015 season to allow Sonya Kreuger time off to have her baby. Have you any updates?